Feel like a champion in this handsomely soft recliner. Crafted with heavyweight faux leather, it takes relaxation to another level. With smooth gliding motion and 360-degree swivel capacity, it's right in sync with you. Fine tailoring and stylish stitching elevate the two-tone saddle color. 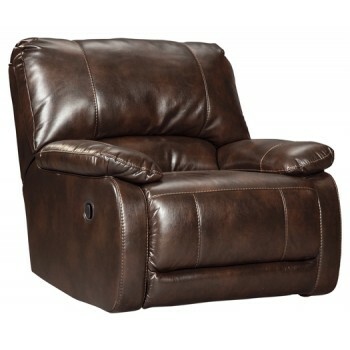 With endless possibilities of reclining comfort, you can bet this recliner feels as great as it looks.